DCSI has again activated its Code Blue emergency winter response for people sleeping rough in South Australia. Housing SA, together with its non-government partners, is making additional accommodation available for extended hours, due to the current forecast for very cold temperatures overnight. For people sleeping rough in the Adelaide metropolitan area, Hutt St Centre (258 Hutt St) will be open overnight on Thursday, Friday and Saturday. Local homelessness services in regional areas are providing outreach services and connecting people sleeping rough to emergency accommodation and other supports. 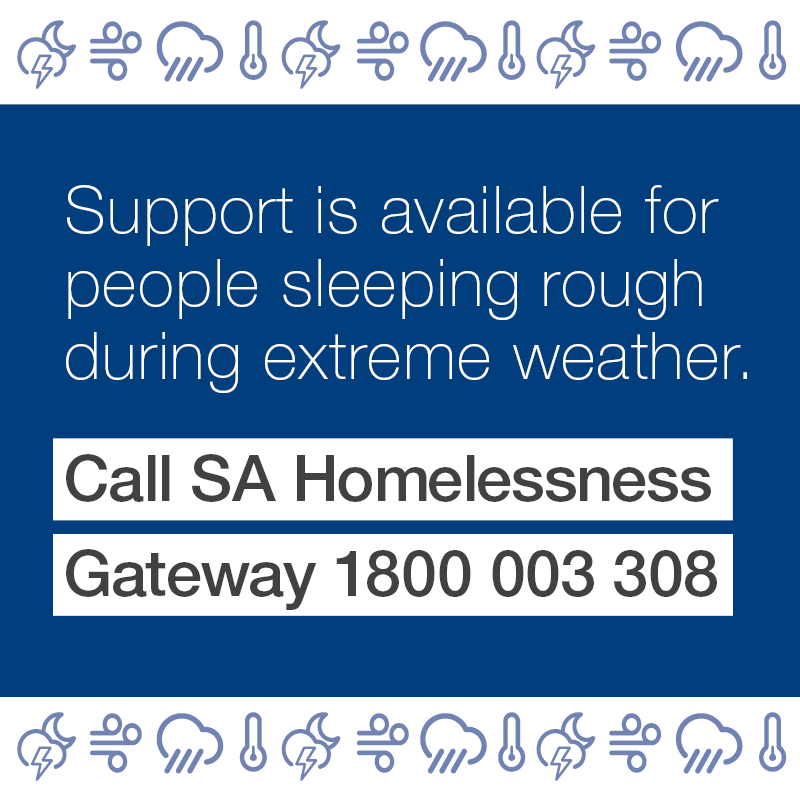 People who are people sleeping rough, or people supporting them, should phone the 24/7 South Australian Homelessness Gateway on 1800 003 308.